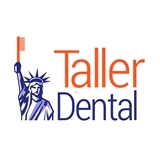 Taller Dental (Bronx) - Book Appointment Online! Thank you for visiting Taller Dental. We offer all dental services including crowns, implants, laser and a variety of cosmetic and restorative dental procedures and are dedicated to maintain a healthy dentition for your entire life. Our knowledgeable Doctors and caring staff are available to handle all of your dental needs. We are located in the heart of Riverdale at 3601 Waldo Ave. This is one block from Riverdale Ave. at the corner of Waldo Ave., Greystone Ave. and West 236th Street.